This is a great website that details specifically what to do if DHR or CPS ever shows up at your door. Lots of helpful information to help protect your family no matter what state you live in. Another great website that details lots of the dirty and illegal tricks that CPS and DHR workers love to use and also a guide on what you can legally do to help protect your family. This link is specifically for Alabama users. You can use this page to file a complaint against an attorney, such as your DHR attorney or judicial court judge if they are barring your constitutional rights (as they have in my case) or also your court appointed or personal attorney if they are failing to uphold the law in your best interest. 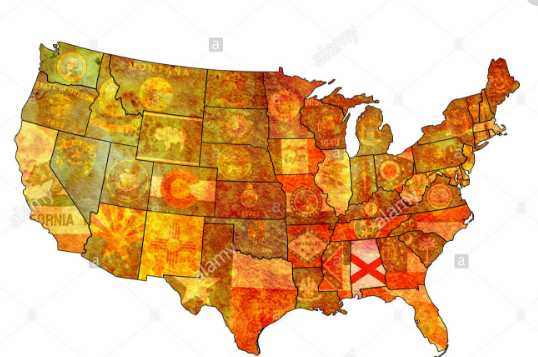 If your not from Bama all states have similar sites. Whether your currently involved with DHR and CPS or your case has recently been closed within the last 4 years no matter what state in the USA you live in this is definitely a website you need to pay a visit to. This is a link to where you can download a call recorder app. This app details and automatically logs in all calls when they re coming in and out both sides of the conversation are crystal clear and it is easy to navigate and delete unwanted recorded calls. I am not a paid spokesperson this is just my personal opinion and the site I have used for over a year now. New law has been passed in California that encourages CPS to request that you use your right to record them. We need to encourage all states to pass a law just like this so that DHR and CPS will not continue to intimidate people into thinking that they’re doing something illegal by recording.